From here you will be able to access the entire commercial & consumer product lines. Please select the Category that you would like to browse from the Categories drop-down box. If you choose, you can select "All Products" for the entire Online catalog. If at anytime you need to reach us, please use our Online contact form or call - (440) 543-3033 during business hours, we will be happy to provide any assistance that you may require. Rug Renovator® is a Complete cleaning solution for rugs & carpets. 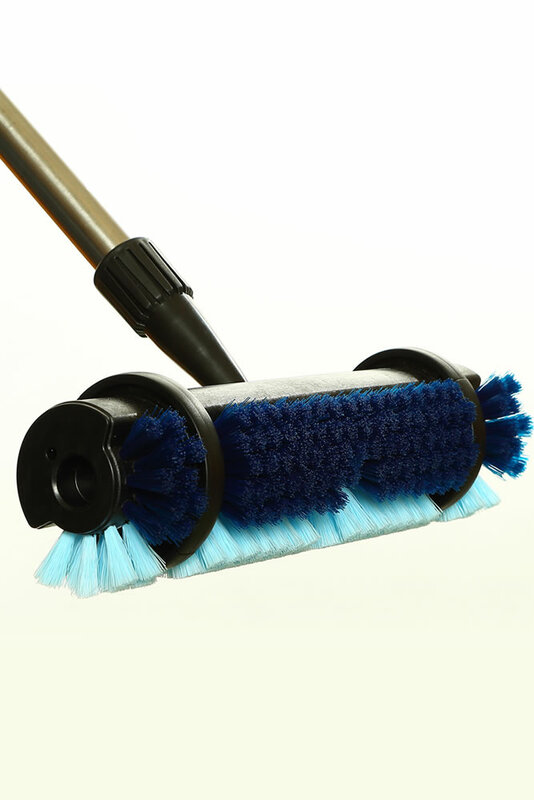 This easy to use brush allows you to clean your carpet or rugs without getting on your hands & knees to scrub. 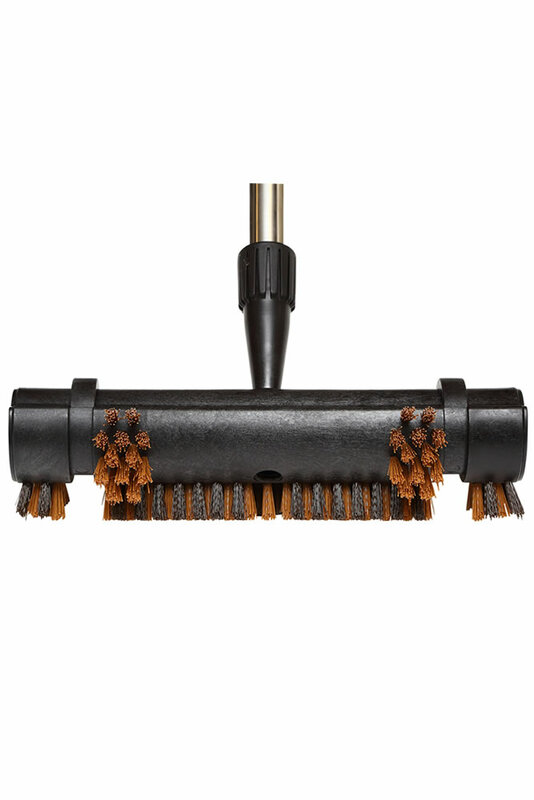 The Rug Renovator® brush deep cleans rug fibers and improves the nap. Tile Diamond® Saves you time cleaning your tile & grout, not to mention saving your knees & back as well! 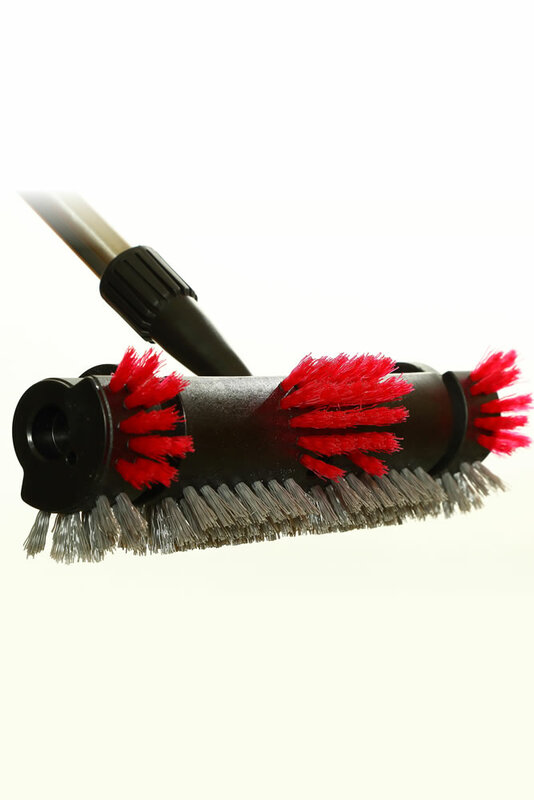 The only brush that cleans the grout joint and the tile surface all at once. 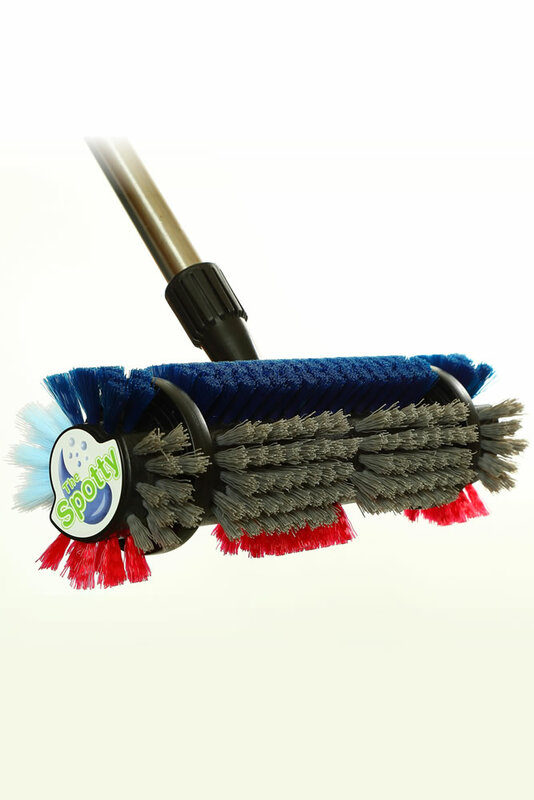 The patented SPOTTY® brush can be easily used to clean carpet spots/stains, as well as clean dirty tile and grout, without getting on your knees! Steel pin reinforced tip, adjustable telescopic pole with a working length up to 50 inches (127 cm). The Euro is a broom like no other. Super easy to use. Cleans in tight spaces. Great to use at the cove where the baseboards meet the flooring. Get all of the dirt the first time! Deck Detailer™ uses "Fang" like bristle patterns to scrub deck surfaces and clean board gaps. 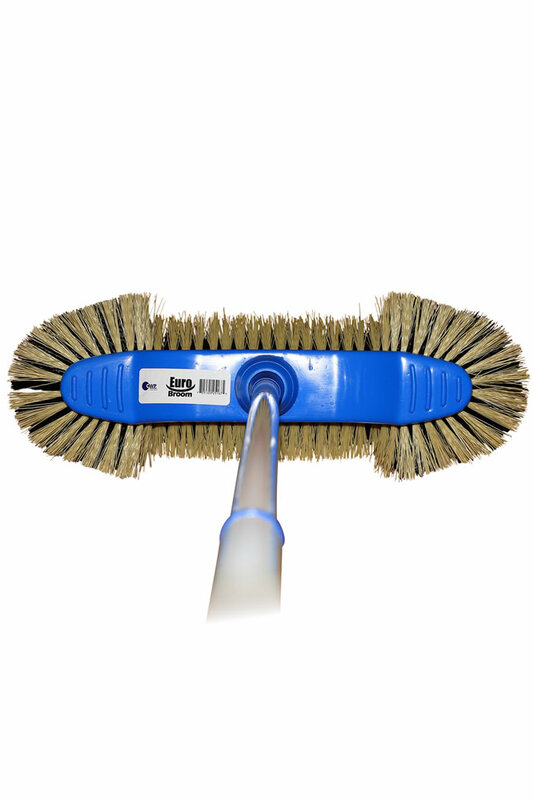 The perfect deck board cleaning brush. Makes cleaning the deck so much easier. Use the contact form for any questions or concerns that you would like to bring to our attention. If you would like, please take a moment to tell us how your Online experience was today and thank you for visiting Scot Labs. Are You Looking For Consumer Products? Scot Laboratories was the industry pioneer in Encapsulation carpet cleaning technology in the 1960's, and remains an authority on Encapsulation and low moisture "brush & bonnet" cleaning chemicals. Our Encapsulating chemicals are used worldwide to provide superior carpet cleaning, faster dry times, and absolutely no re-soiling upon drying.